BCS Edinburgh Branch programme: 08/11/16 - Enterprise Architecture – What Is It Actually! Enterprise Architecture – What Is It Actually! Tuesday 8th November 2016, 6:30 pm. Refreshments are being sponsored by Samuel Holcman. The concepts of what is now referred to as Enterprise Architecture were first formulated in 1966 (yes 1966). As we all know, one of the great things about the internet, is that anyone can write anything about anything. One of the problems about the internet, is that anyone can write anything about anything! Earlier this year, we have entered, what we refer to as Enterprise Architecture 3.0 – reestablishing the focus first described in 1966. This presentation will provide an understanding of where Enterprise Architecture begin, where it is, and where it is heading. Defined will be the four pillars of holistic Enterprise Architecture: (1) a Framework, (2) a Methodology, (3) Architecture Models, and (4) Implementation Models. The intent of this presentation is to provide a context, both for the seasoned practitioner and other interested parties, with a context of what is being done today, and what true business benefits Enterprise Architecture can provide. SAMUEL B. (Sam) HOLCMAN is the Chairman of the Pinnacle Business Group, Inc., the Managing Director of the Enterprise Architecture Center Of Excellence (EACOE), and the Business Architecture Center Of Excellence (BACOE), and the President of the Zachman Institute for Framework Advancement (ZIFA). He is considered the practitioners practitioner in Enterprise Architecture and Business Architecture, and the leading implementer and world-wide educator and trainer in Enterprise Architecture and Business Architecture methodologies and techniques. The Pinnacle Business Group, Inc. and its associated organizations provide its clients with innovative, yet practical solutions to a range of business and systems related challenges and activities. He was the Vice President of Modelware, Methodologies, and BPE (Business Process Engineering) for a major software company. 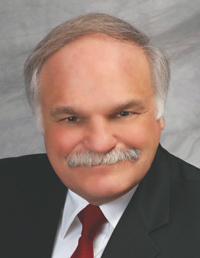 Prior to this experience, Mr. Holcman was the Founder and President of Computer and Engineering Consultants, Ltd. His interests include consulting and research on topics such as enterprise architecture, business architecture, business process engineering, intellectual capital management, organization development, system methodologies and life cycles, corporate business modeling, and accelerated analysis techniques. Mr. Holcman conceptualized and constructed a unique look at system development methodologies, which resulted in the highly regarded ForeSight TM methodology and methodology management product. He has developed a strategic planning process that is used by many Fortune 500 companies, and is the co-developer of the widely used accelerated analysis (JAD-like) technique known as Rapid Analysis. He has also developed an innovative approach to Business Process Re-Engineering known as Business Process Visualization TM and Organization Network Analysis TM. These techniques are being used to Unlock the Hidden Assets in your Organization SM. In association with Mr. John Zachman, he formed The Zachman Institute for Framework Advancement (ZIFA), to explore, explain, and share the concepts of enterprise architecture. Sam has also focused on understanding the value and management of Intellectual Capital to enterprises. He has developed the Intellectual Capital Maturity Model TM to provide guidance on how effectively organizations are managing their Intellectual Capital, and steps they can take to more effectively manage this capital, and the Enterprise Architecture Maturity Model, to provide guidance to organizations seeking to improve their understanding and implementation of Enterprise Architecture concepts. He has developed and published works on Cooperatively Optimized Relationships (COR), which is the next generation of understandings in the field of Customer Relationship Management (CRM). To better understand an organizations “DNA”, Sam led the development of The Enterprise Framework TM and The Business Architecture Framework TM. Both The Enterprise Framework, and The Business Architecture Framework have received worldwide acclaim for their understandability, and usability, while maintaining theoretical purity. Most recently, he published the book titled “Reaching the Pinnacle – a Methodology of Business Understanding, Technology Planning, and Change”. This book brings a method to the marketing madness that surrounds Enterprise Architecture, and its straightforward and no-nonsense style sheds much light on a poorly understood topic. The book helps business executives and technology professionals through the process of building an Enterprise Architecture appropriate to their organization’s needs. Sam was with Ford Motor Company for 11 years in data processing, finance, and engineering. He was Vice President of a robotics and factory automation firm for two years. He was also a senior member of a technology delegation to the People’s Republic of China, on the invitation of the Chinese and United States Government, and a member of a technology delegation to the Commonwealth of Independent States (Soviet Union). Sam has a Bachelor’s degree in Bioengineering and Master’s Degree in Electrical Engineering from Wayne State University in Detroit, Michigan, and a Master’s in Business Administration from the University of Michigan, Ann Arbor. He has been elected to Eta Kappa Nu (electrical engineering honors society), and Tau Beta Pi (engineering honors society), and is a member of numerous societies and professional organizations, and is a frequent speaker at seminars around the world. He can be emailed at Samuel.Holcman@PinnacleBusGrp.com, or reached by telephone on +1 810 231 0531.